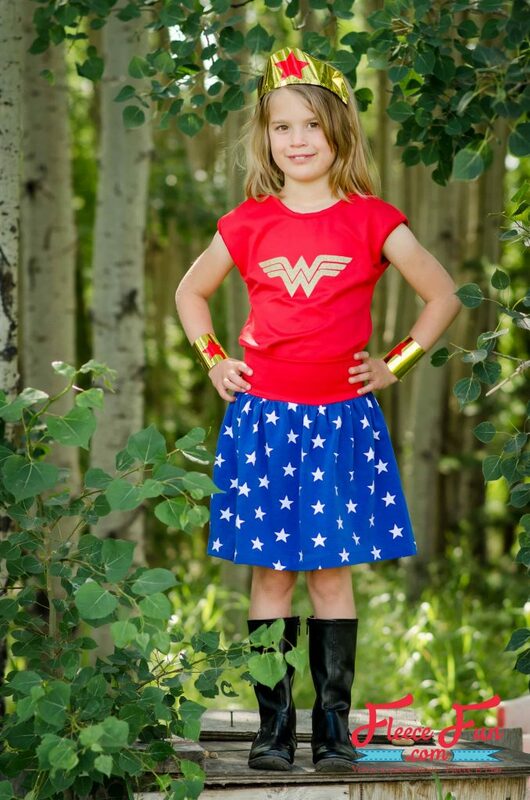 This Wonder Woman Costume for kids DIY is a fast sew – and you’re little warrior won’t freeze! 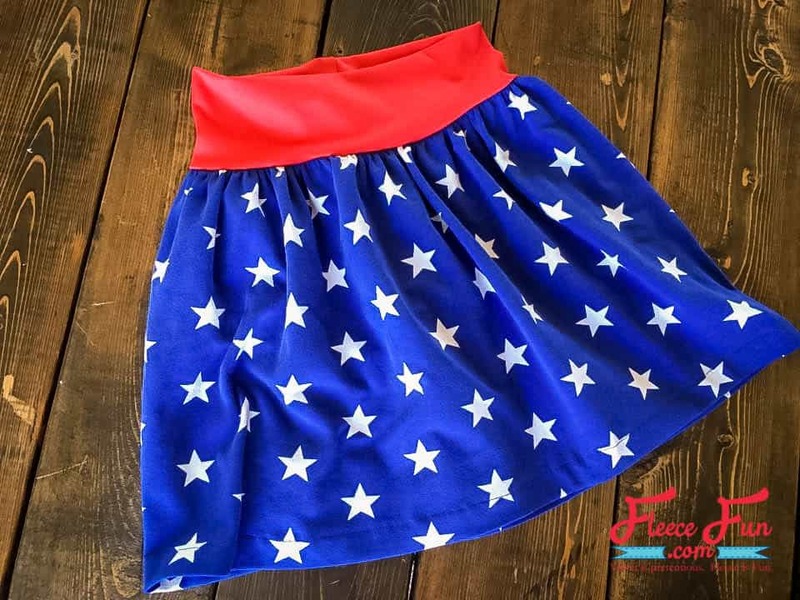 With a few simple materials you can whip up this school friendly costume in no time! 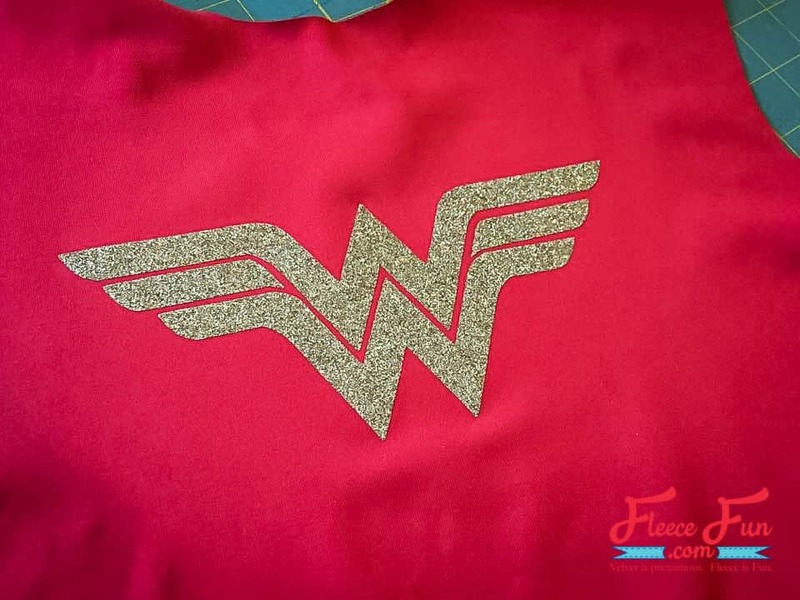 Cut out a Wonder Women decal out of the glitter heat transfer vinyl. 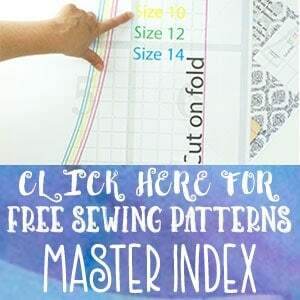 You can use a cutting machine such as a Silhouette or Cricut or, since the design is simple, trace it out on the back of the vinyl and cut it out with scissors. Apply the vinyl with a hot iron as directed by the manufacturer. 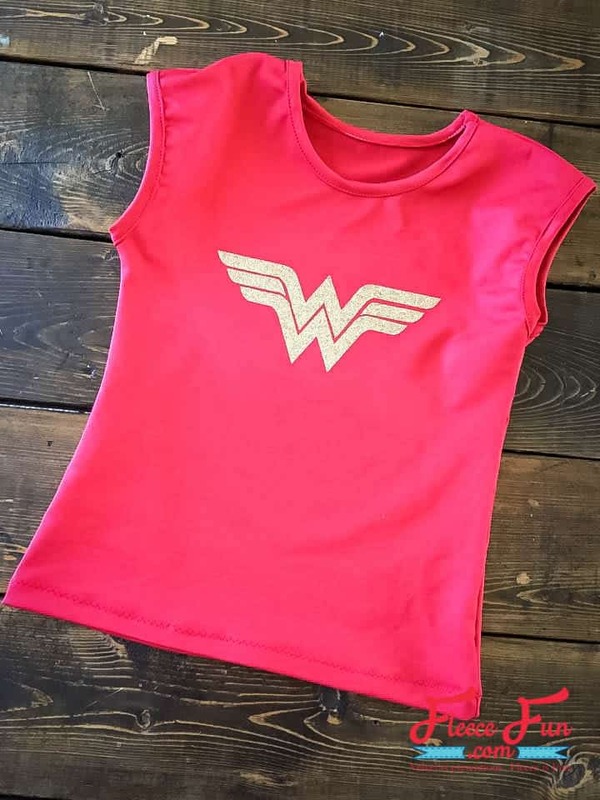 If you are sewing your own shirt, assemble the shirt now. 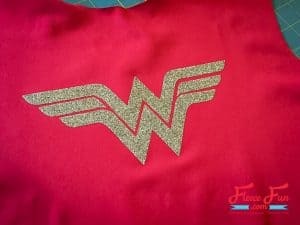 I used the Rainbow Tee by Gracious Threads; it is an easy sew with only 2 pattern pieces! 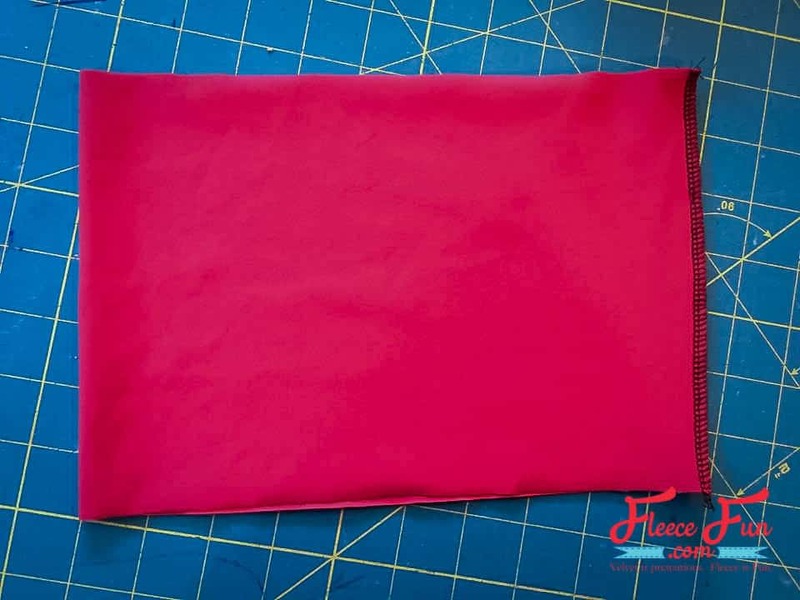 Sew the short ends of the waistband together, right sides facing. 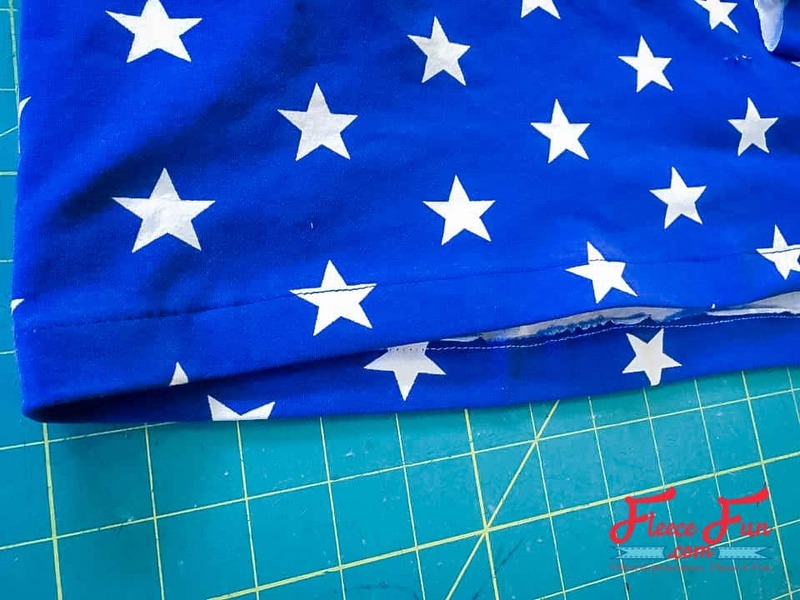 Fold the waistband over so that long edges meet, with wrong sides facing. 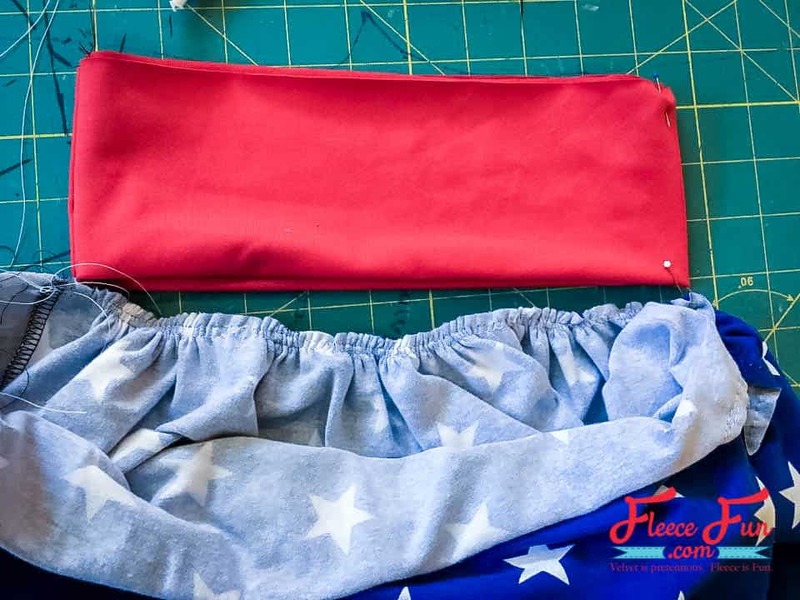 Sew short ends of the skirt together, right sides facing. 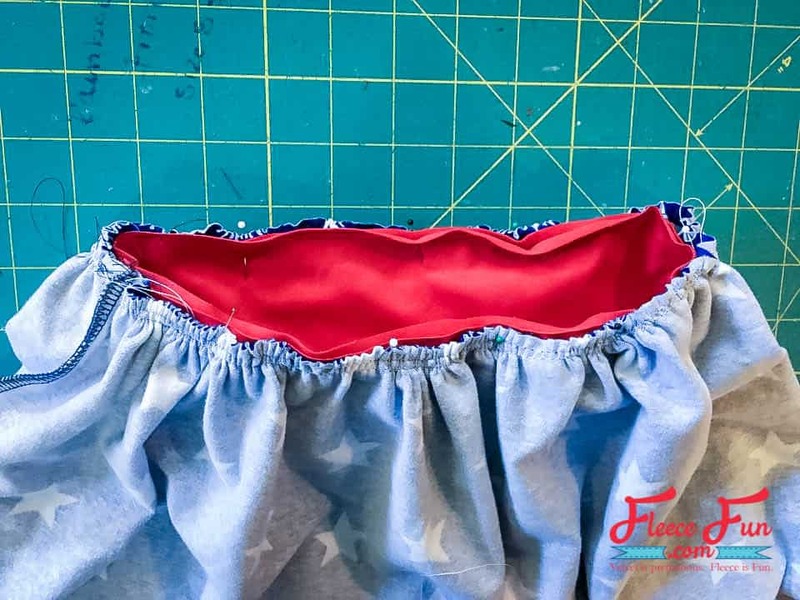 Fold over 1″ of the bottom edge of the skirt to the wrong side. Press. Topstitch to hem. 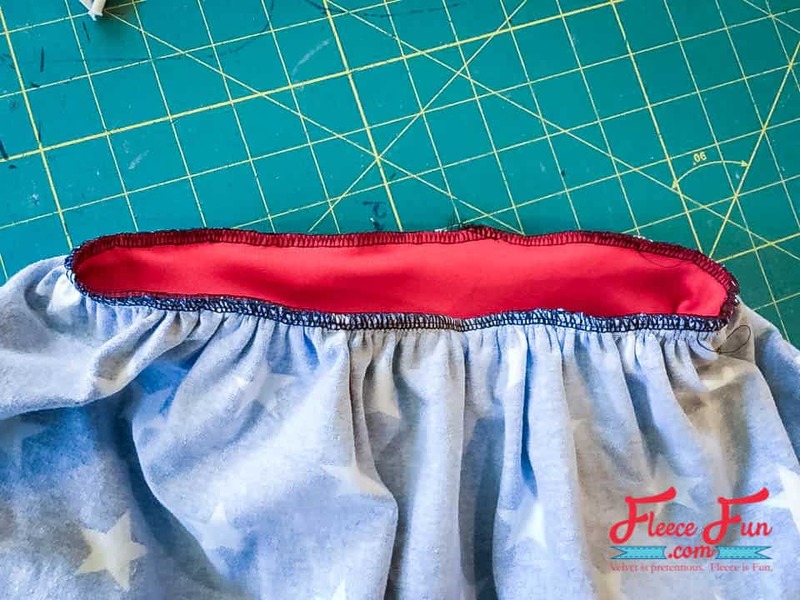 Sew two rows of basting stitches at the top edge of the skirt to gather. 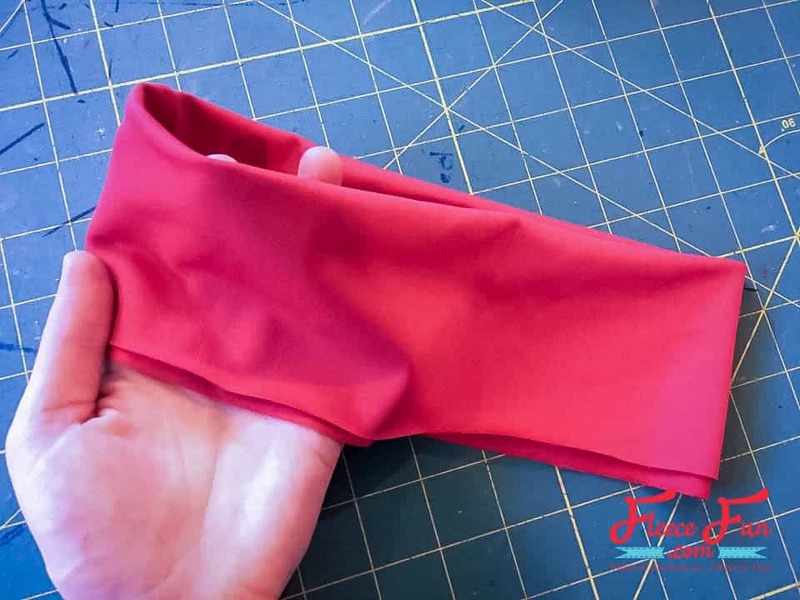 Gather so it is the same width as the waistband. 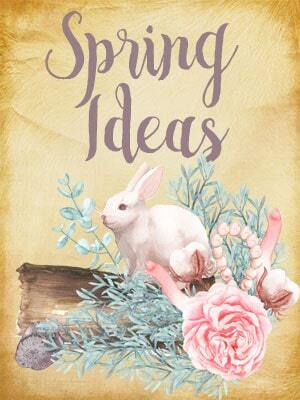 Distribute gathers evenly and pin waistband to skirt, right sides facing. 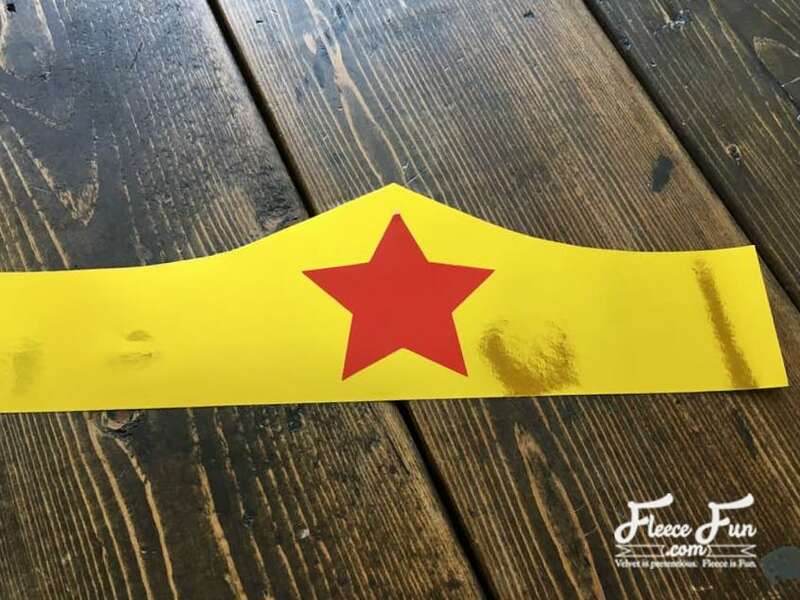 Cut out the headband piece using the provided template. 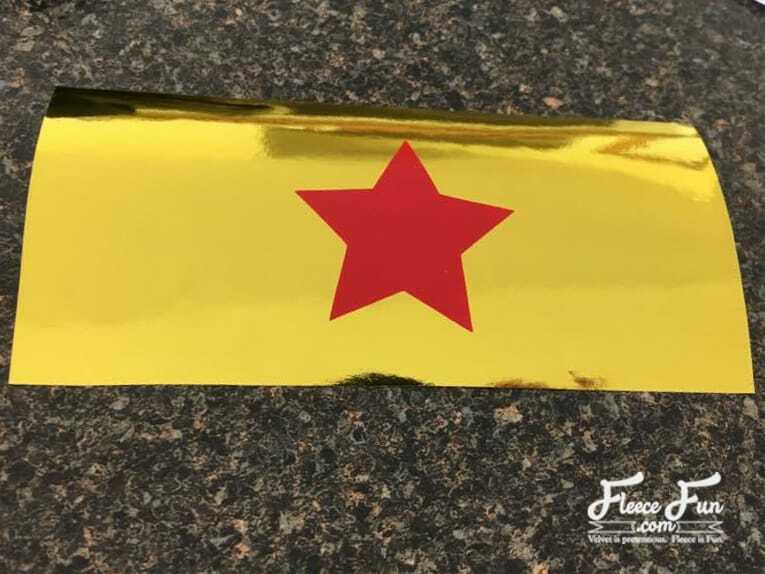 Glue or stick on the red star. 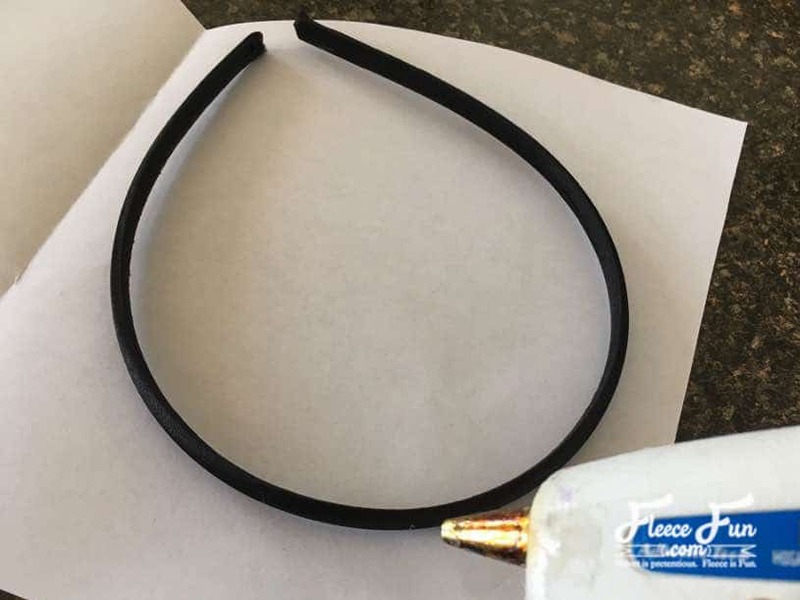 Hot glue onto the hairband. 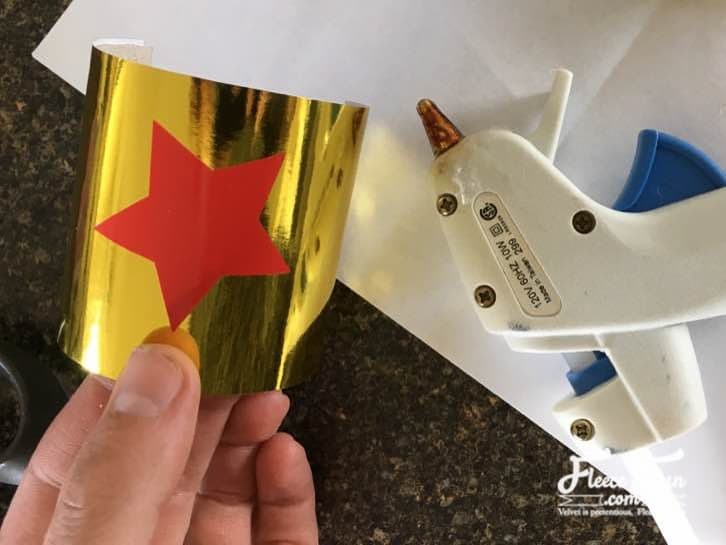 Cut out the rectangle using the template and apply a red star. 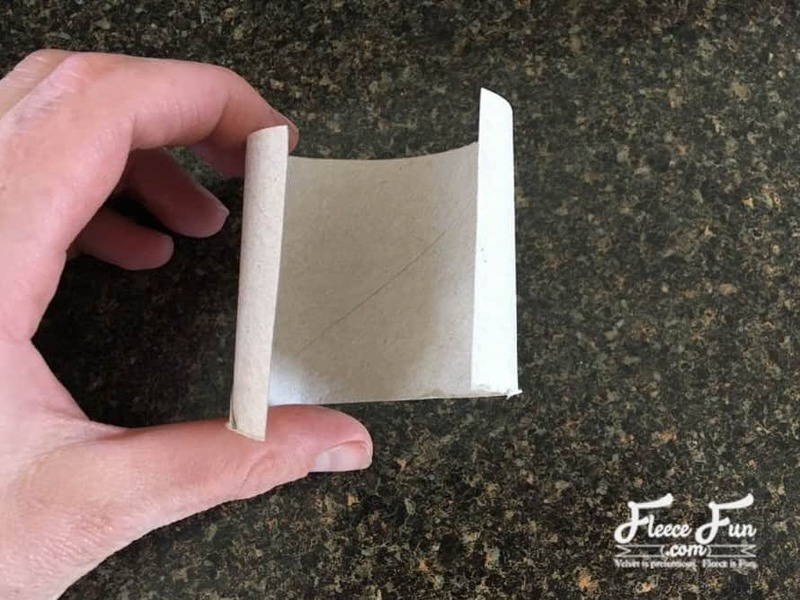 Cut a lengthwise slit in a toilet paper roll. 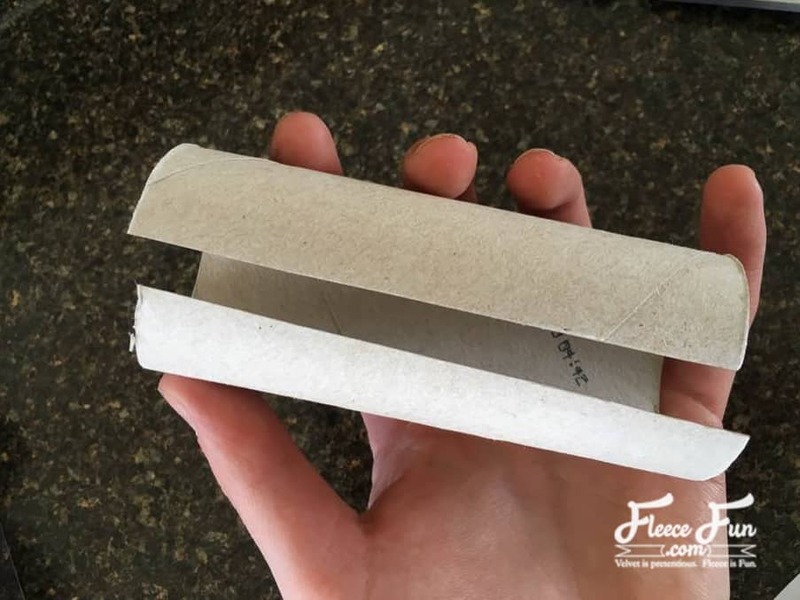 Glue the paper to the roll. 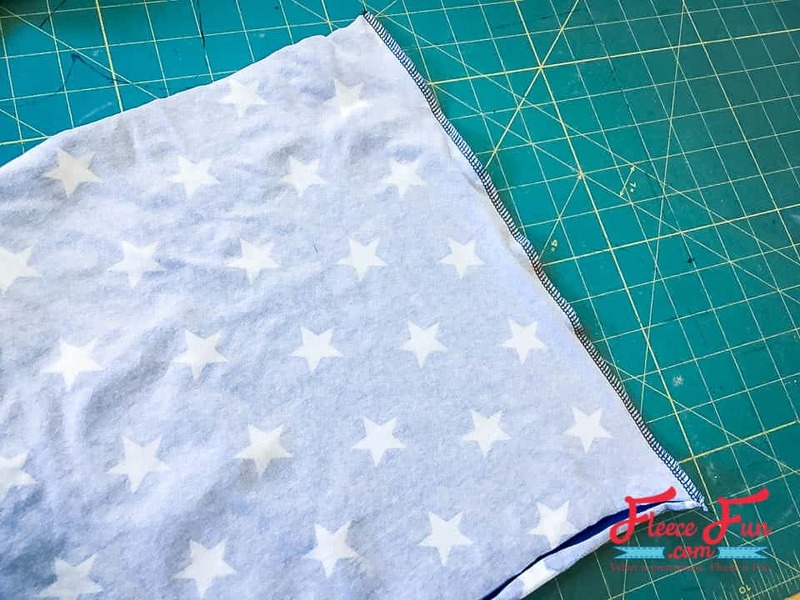 Apply adhesive velcro to the short edges to fit the child. 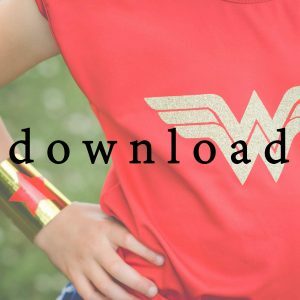 You’ve completed the Wonder Woman Costume for Kids DIY.